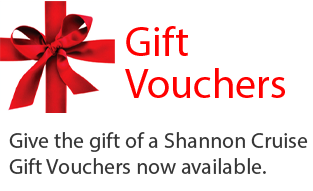 Shannon River Cruising and boat hire links. Below are some links that you might find useful while cruising the Shannon River in Ireland. Click on a category or scroll down to view links. Trains, Planes and Automobiles - How to get to Ireland and the Shannon River. A wealth of information for those whose passion is fishing. Many towns and locations on the river Shannon in Ireland have their own web sites. You'll find them listed here. Links to sites providing accommodation guides and bookings thruoughout Ireland. The leading carrier between Dublin and Northern Europe - Scandinavian Airlines operates regular flights to Copenhagen, Stockholm and Oslo with onward connections to further afield. P & O Ferries, with its four routes between mainland Europe in the UK, is one of the largest ferry market. With Norfolkline's brand new fleet, more than 2 million passengers travel each year over the English Channel and Irish Sea (with Irish Sea Ferries). Singapore Airlines is the world’s most awarded airline and flies to 64 cities in the world throughout 5 continents. The governing body of Irelands airports. If you can't find the answers to your Irish inland waterway questions here, then they can't be found! The national governing body of Ireland's Waterways. Angling Guide service for Leitrim, Longford, Cavan and Roscommon. Angling and fishing reports & forums for Game, Coarse and Sea fishing in Ireland. All-singing, all-dancing web site for fishing and angling on the river Shannon in Ireland. Web site with information on Athlone, the largest town on the Shannon River. Web site for the town of Killaloe on Lough Derg. Everything there is to do and see in Fermanagh. Information for visitors to County Leitrim, home of many of the towns and villages on the Shannon River. Tourism Guide to County Longford. The official tourism website for the East Coast and Midlands including Longford, Westmeath and Northern Offaly. The website for the town of Portumna, on the northern tip of Lough Derg. Website featuring all of the best things to do and see in County Roscommon. Website for Carrick-on-Shannon, a vibrant tourist town that's home to Carrick Craft and Emerald Star. Ballinamore is situated on the Shannon-Erne waterway in Co. Leitrim. Enniskillen is the largest town on Lough Erne and one of the largest on Irelands inland waterways system. Ballyconnell is situated on the Shannon Erne Waterway. Book your hotel online with Ebookers. Choose from their huge range of Irish hotels. Irish Country Hotels offers the best of Ireland's countryside, with hotels in Dublin, Cork, Kerry, Galway, Clare and all over Ireland. A directory of hotels and apartments in Dublin city centre.